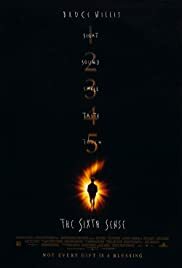 My Day 26 pick for 31 Days of Halloween is another ghost story: The Sixth Sense. This is the film that brought us the iconic line, “I see dead people.” There’s a lot of interesting psychology in this film, and it’s one of the best ghost stories out there. This is another movie that’s worth watching just for the interesting ending. Still, this is a great psychologically-driven horror movie. It’s a bit disorienting at times as you try to piece everything together. There’s definitely a reason that this one has risen to iconic status, and I don’t want to give too much away just in case you haven’t seen it yet! This is perfect for those looking for something spooky but not terribly scary for Halloween.